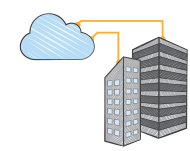 AWS Direct Connect Partners help AWS Customers establish network connectivity between AWS Direct Connect locations and their datacenter, office or colocation environment via the following models: Dedicated Connections, Hosted Connections and Hosted Virtual Interfaces. The AWS Direct Connect Partners listed on this page have completed an AWS technical and business review. Dedicated Connections are 1G or 10G physical Ethernet ports dedicated to a single customer. Each Dedicated Connection supports 50 virtual interfaces. For even greater capacity, Dedicated Connections can be combined using Link Aggregation Groups. Dedicated Connections are ordered directly from AWS via the Console, CLI or API. All AWS Direct Connect Partners can help customers access Dedicated Connections. Hosted Connections are available in a wide range of capacities, starting at 50M up to 10G. Hosted Connections are ordered from one of the AWS Direct Connect Partners approved to support this model. Only select AWS Direct Connect Partners are approved by AWS to offer Hosted Connection capacities of 1G to 10G. The AWS Direct Connect Partner will provision each Hosted Connection over a network link between the AWS Direct Connect Partner and AWS that is shared by multiple customers. Both the AWS Direct Connect Partner and AWS will limit network traffic on each Hosted Connection to the capacity of each Hosted Connection. AWS ensures that the sum of all capacities of Hosted Connections on a network link between the AWS Direct Connect Partner and AWS is less than or equal to the capacity of that network link. Some AWS Direct Connect Partners support additional monitoring of the health of the network link between the AWS Direct Connect Partner and AWS. A Hosted Connection will not become active until the customer accepts it via the AWS Console, CLI or API. Each Hosted Connection supports one Virtual Interface. Customers who need more than one Virtual Interface may obtain multiple Hosted Connections, or use a Dedicated Connection, which provides 50 Virtual Interfaces. A Hosted Virtual Interface (Hosted VIF) is a Virtual Interface assigned to an AWS account that differs from the AWS account the underlying Dedicated Connection is assigned to. Hosted VIFs have no capacity assigned by AWS. Some AWS Direct Connect Partners enable access to AWS Direct Connect by creating Hosted VIFs assigned to customer AWS accounts. A Hosted VIF will not become active until the customer accepts it via the AWS Console, CLI or API. The AWS Direct Connect Partner will provision each Hosted VIF over a network link between the AWS Direct Connect Partner and AWS that is shared by multiple customers. Each Hosted VIF has access to all the available capacity on the network link in the direction from AWS to the AWS Direct Connect Partner. AWS does not limit network traffic on each Hosted VIFs to any capacity, so it is possible that the shared network link may become oversubscribed. Due to this possibility of oversubscription, AWS no longer allows new AWS Direct Connect Partner service integrations using Hosted VIFs, and recommends customers with workloads sensitive to network congestion use Dedicated Connections or Hosted Connections. In the tables below the following symbols are used to indicate AWS Direct Connect Partner capability at a given AWS Direct Connect location. Customers should inquire with AWS Direct Connect Partners to learn more about the specific capabilities of each AWS Direct Connect Partner. Interested in becoming an AWS Direct Connect Partner? The AWS Direct Connect Partner Program helps AWS Customers establish network connectivity between AWS Direct Connect locations and their datacenter, office, or colocation environment. The AWS Direct Connect Partner Program is designed for APN Technology or Consulting Partners who provide network services to customers and are interested in connecting to AWS. Network Service Providers who are present at existing AWS Direct Connect locations and have enabled customers to access those customers' AWS Direct Connect Dedicated Connections should apply. Current AWS Direct Connect Partners interested in offering AWS Direct Connect Hosted Connections at greater than 500 Mbps capacity must meet additional requirements from the AWS Service Delivery Program.